Second Hazelia School. Dist. 37 built in 1884 on land donated by A.R. Shipley. Belfry and porch added 1905. Present grange hall built on same site in 1916. Returned to Oswego Library file. OA#113. Description Same as 388a & b; all appear to be photos of the same original. Mounted on cardboard. 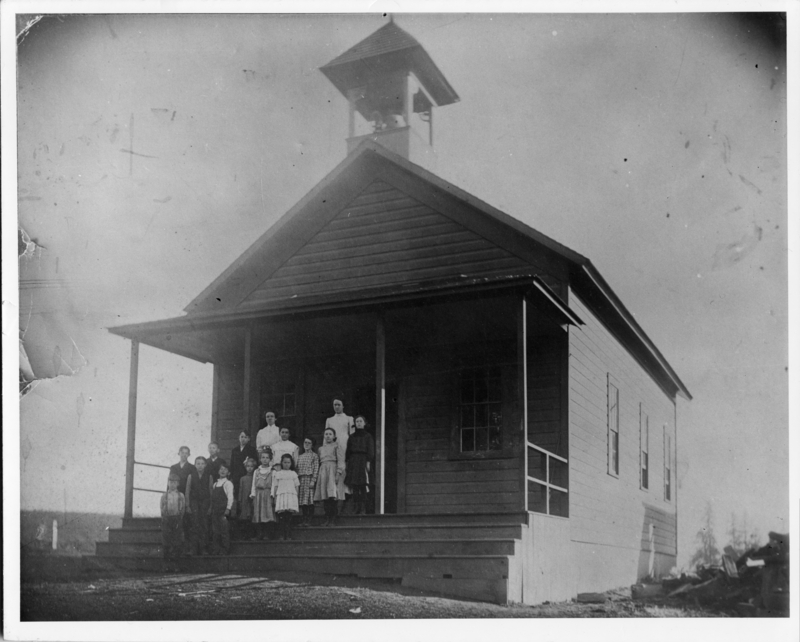 Used as a school from about 1884 - 1916. Transcription Second Hazelia School. Dist. 37 built in 1884 on land donated by A.R. Shipley. Belfry and porch added 1905. Present grange hall built on same site in 1916. Returned to Oswego Library file. OA#113. Physical Description H 8"" x W 10""